are those future-shoes, or are my eyes sore? Your inquiry is fair based on its assumption, however it may be a bit out of reach in terms of actual future. If we look at this question in the same way of the question regarding “Brother DB2-B791-015 No Thread Trimmer” then yes, they are “future-shoes”. But, if we look at it as (the) future meets shoes, then no, these are probably not shoes in or about or of the future. They are very simple in their manner, which may be the first thing to point them away from the future, as we often assume with the future means growing technology to make our lives easier despite the fact that then the technology needs to constantly become more complicated to fight the technology that is helping make that technology make our technology help us more. 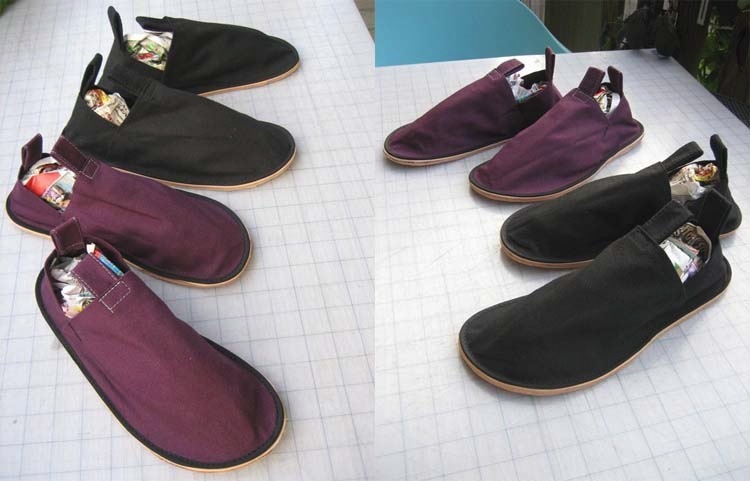 With that said, future or not, these are shoes, but maybe even more so – simply canvas and glue and leather (cowhide) and polyester thread and dyes.